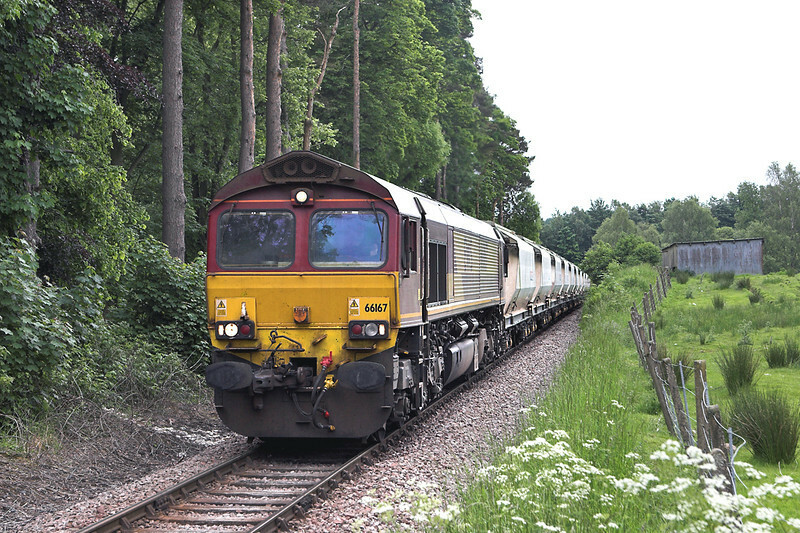 Welcome again to the Railwaymedia Blog, now in its twentieth edition. Another two weeks or so have passed since the last blog﻿, principally due to the annual family holiday; in fact it has been over 3 weeks between my last foray out pointing my camera at trains and this week. 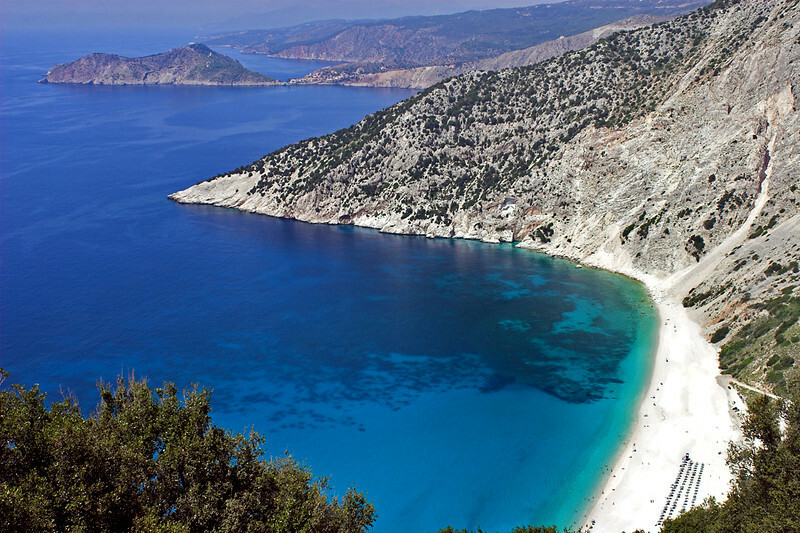 The family holiday was a week on the beautiful Greek Island of Kefalonia. This was our 4th visit since our first trip there 12 years ago and we still love the laid back atmosphere of the island. The Islands main town of Argostoli has under 10,000 inhabitants and nowhere on the island is over-built. Obviously it is a train-free island, although a new addition is a 'dotto' train in the capital! It was back to work on nights and with the nice weather since we returned (don't know what all the fuss about wind and rain was whilst I was away) I took advantage of an easy job one night to have a day out in the car. 60099 in Tata Steel silver was allocated to the Preston to Lindsey tank train on Wednesday so I drove across to Todmorden in Yorkshire to photograph it. It can quite often run an hour early, which it didn't, so I had almost a 2 hour wait above Horsfall Tunnel for it to appear. 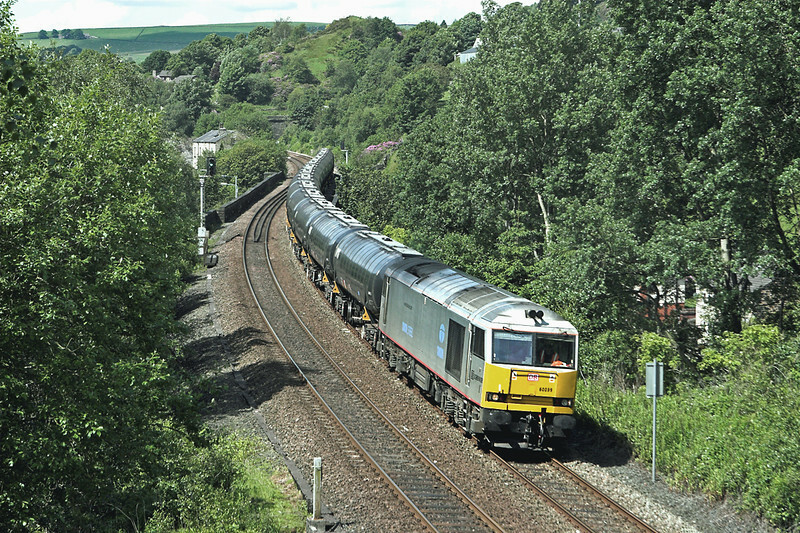 I had thought of driving back to get the Clitheroe Cement train but by the time 60099 had passed it was too late. 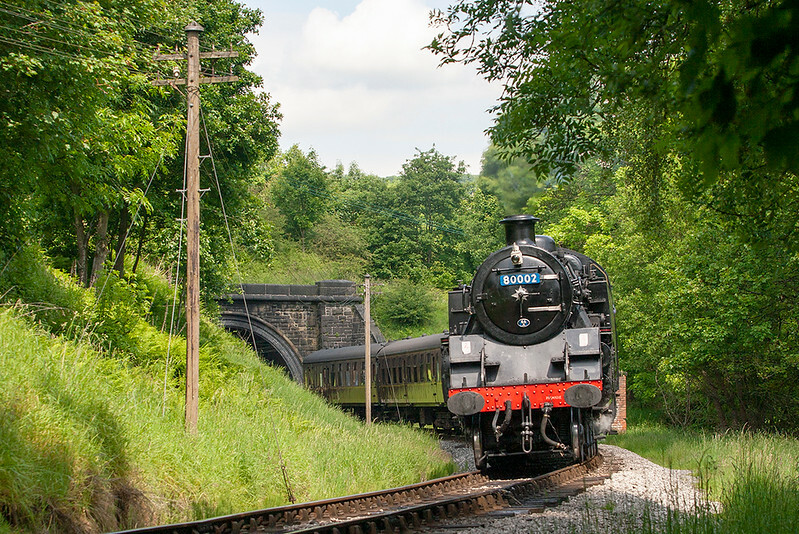 The Keighley and Worth Valley Railway are now operating an all week steam service for the summer, so I went across the moors from Hebden Bridge to Haworth. Resident diesels 08266 and 37075 were parked outside the shed to photograph in the sun, after which I went exploring locally to find a location for a picture of the midday steam working from Keighley. As forecasted the cloud was rolling in at dinner time so the smell of a fish and chip shop opposite Ingrow Station lured me in. And VERY nice it was too. As it was freshly cooked I took it in the car up to Cononley to eat it where I could watch the trains go past. As I neared Skipton later on the way across to Hellifield looking for locations I caught a lucky glimpse of a northbound stone train which I guessed would probably be heading for Rylstone north of Skipton. The former Grassington Branch is a line I've not photographed before, mainly as I've never known what time the trains run on it, so the opportunity of getting a picture was too good to miss. The trains have to run round at Skipton as the branch junction faces east, leaving me plenty of time to find a location; indeed with the slow speed of the line I managed two shots, one near Flasby Moor and a second as it approached the quarry. It being dull helped though with the locations. Having not had any sleep since the night before, and it becoming even more overcast, I headed back along the A59 to Preston with the intention of going home, however I decided enroute to check out a location near Ramsgreave in Blackburn I have also never done before. Quite why I had never tried to find the bridge I don't know as it turned out to be an excellent location for the two freights that run along the line mid-afternoon. 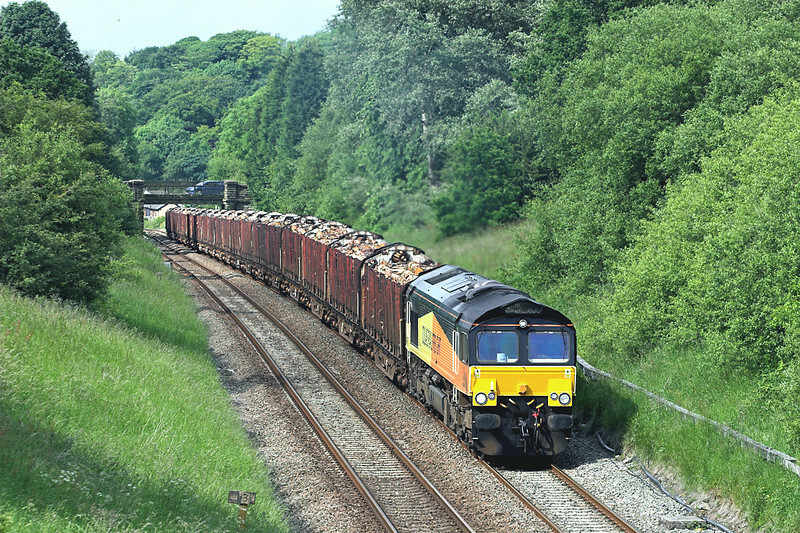 By the time the second of these, the Chirk log train, came over the summit of the gradient at the top of Cemetrey Bank the sun was shining again. Well that's a quite comprehensive account of Wednesday's wanderings. As previously mentioned it has been the only day out in the last 3 weeks, and will be the only British-based one for a couple more as next week is the now annual photographic outing, this year to Hungary. Edition number 21 will no doubt cover this trip equally in depth: I hope you will look out for it in about 2 weeks time. 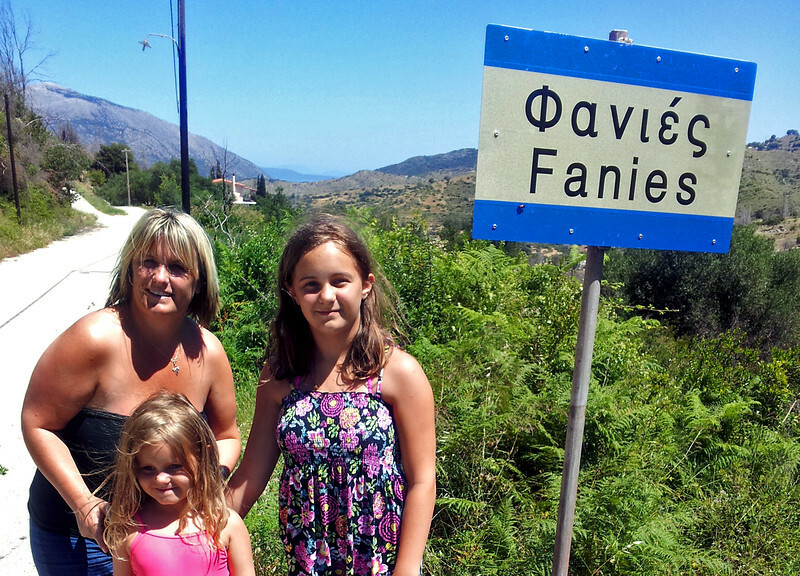 To finish off I'll leave you with the essential family picture from the best named village on Kefalonia!